Jennifer Wilson is a Certified and Tennessee Licensed Athletic Trainer. She is also a Certified Strength and Conditioning Specialist. 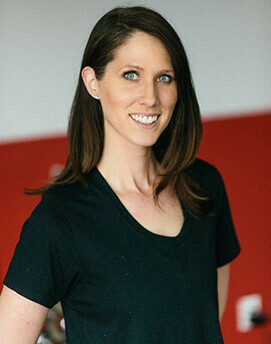 Jennifer is a certified member of the Functional Movement Systems and is certified to perform both the Selective Functional Movement Assessment and Functional Movement Screen. She is also a provider of Graston Therapies Instrument-Assisted Soft Tissue Techniques. Jennifer is a 2006 graduate of Austin Peay State University, where she received a Bachelor’s degree in Health and Human Performance. She is a 2009 graduate of the University of Arkansas’ Graduate Athletic Training Education Program, where she earned a Master’s degree in Kinesiology. 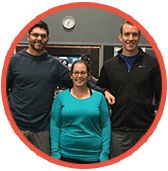 Jennifer’s passion is movement correction and rehabilitative exercise. She loves to figure out chronic, challenging cases and work to alleviate immediate symptoms while improving movement quality to eliminate the cause of the pain. Once the individual is no longer in pain, she focuses on maintaining and improving coordination, motor control, mobility, strength, and functionality. Jennifer strives to educate her clients on the nature of the injury and the path to recovery, to help prevent a recurrence.